Missionary Marriage Issues: What about Charlotte? 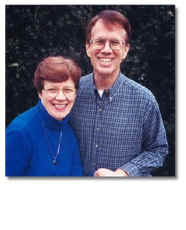 William’s steps toward remarriage so soon were, at first, shocking to other missionaries there in India. However, those missionaries soon realized that William and Dorothy had little emotional attachment during the twelve years of her mental illness. Initial objections soon faded and approval took their place. William and Charlotte married May 8, 1808. This marriage was quite different from his marriage to Dorothy. Dorothy did not want to be a missionary, but Charlotte had come to India by choice as she looked for something that would cure her physical problems. She was well off financially and could have returned to Europe but had chosen to stay in India. In fact, immediately after their marriage she deeded her house to the mission and the rent from it was used to support national pastors. Dorothy could not read, but Charlotte read widely, often able to read books in their original because she knew Danish, French, and Italian before coming to India. Then, as noted earlier, while in India she learned English to worship with other missionaries. Finally she learned Bengali so she could better minister to nationals. • I thank thee most affectionately, my dearest love, for thy kind letter. Though the journey is very useful to me, I cannot help feeling much to be so distant from you, but I am much with you in my thoughts. • I felt very much affected in parting with thee. I see plainly I would not do to go far from you; my heart cleaves to you. • I shall greatly rejoice, my love, in seeing thee again, but take care of your health that I may find you well. I need not say how much you are in my thoughts day and night. What about missionary marriages today? In Andrew’s remarks noted above, one can see that the Baptist Missionary Society began to screen for marriage and family issues even before Dorothy’s death. About the turn of the century the Wesleyan Missionary Society began producing a policy book that shows changes over the years. • In 1818 missionary candidates were asked nothing about their wives. • In 1822 candidates had to answer whether they were going married or single, whether or not their wives could be recommended on several criteria, and whether or not her parents had given their consent. • If a missionary returned to England to find a “suitable” wife, he could take up to a year before returning to the field with his bride.